Cheirotonus is a genus of Euchiridae or some author keep them in subfamily of Melolonthidae or subfamily Euchirinae of Scarabaeidae. Their English name is long arm beetle and in Vietnamese, they are called "Cua Bay" with meaning is flying craps, anyway, the name of the genus because of their very long fore legs. 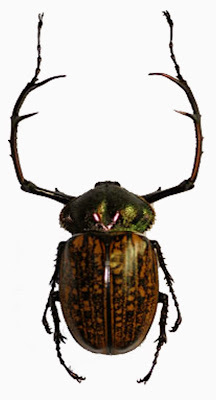 In Vietnam there are four species of the genus, three of them with mun-ti spots on the elytra: Cheirotonus battareli, Cheirotonus gestroi and Cheirotonus parryi and the remain with dark green elytra: Cheirotonus jansoni. The species Cheirotonus parryi is the first species that named for science of the genus, its name honor to Major Frederick John Sidney Parry who was a British Army Solder and an entomologist of Entomological Society of London and Linnae Society as well. 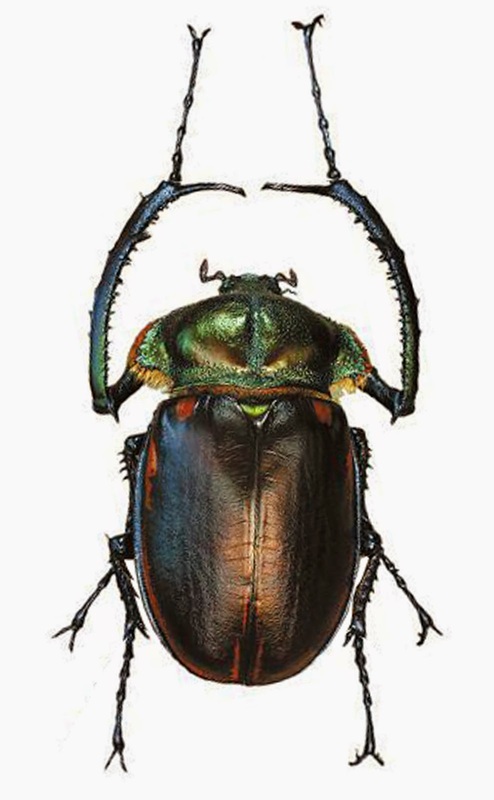 He was an specialist of Coleoptera, particularly Lucanidae. In Vietnam the species Cheirotonus parryi has been found from Southern Forests: Cat Tien National Park, Dong Nai Province. Male of Cheirotonus parryi with long medial spine of fore legs. Two other yellow spotted elytra species is Cheirotonus battareli and Cheirotonus gestroi. The species Cheirotonus battareli have been found only from North Vietnam: Sa Pa (Lao Cai), Van Ban (Yen Bai), Tay Con Linh (Ha Giang), Mau Son (Lang Son), Pia Oac (Cao Bang), Tam Dao (Vinh Phuc), Pu Mat (Nghe An)... and the later species Cheirotonus gestroi maybe distributes in South Center of Vietnam: Kon Tum, Quang Nam, Quang Ngai, Lam Dong. They are very similar each other but difference from Cheirotonus parryi in the medial spine of fore legs (shorter). In Cheirotonus gestroi, the lobe of medial spine of fore femur without teeth but there are some teeth on it of Cheirotonus battareli. In 1994, Muramoto published a paper with description of Cheirotonus fujiokai from China, near Vietnam border (Ha Giang Province). The question if Cheirotonus fujiokai can be found from Vietnam has not been answered, however this small size species very similar to Cheirotonus gestroi but difference from both Cheirotonus gestroi and Cheirotonus battareli in medio-lateral shallows depression of pronotum of male: in Cheirotonus fujiokai, the area just finely punctured but it is deeply punctured in two previous species.